Have you always wanted to learn how to ice climb or perhaps you just need a tune-up on your existing skills? Our two day program is just long enough to try it out for the first time or tune up your existing ice climbing skills. During this program, your Chicks Guides will fill the day with fun and instruction to help lay down a solid foundation of skills. This clinic is open to ALL levels of ice climbing experience. If this will be your first-time ice climbing, Chicks will outfit you from head to toe in the necessary clothing and equipment you will need to give ice climbing a swing. We have five levels of instruction to choose from, there’s a place for you to learn amongst other psyched women that match your previous experience and goals for the trip. Arrive in Montrose early enough to drive an hour from the airport to Ouray. Get settled into your room at the Victorian Inn. Allow about an hour of extra time if you plan to stop for groceries. 4:00 pm: Kick-off meeting/orientation at the Twin Peaks Lodge/Victorian Inn. Demo gear will be handed out and we will have a catered group dinner. If you would like alcohol, please bring your own. 7:30 am: –4:30 pm: Climbing in the Ouray Ice Park. 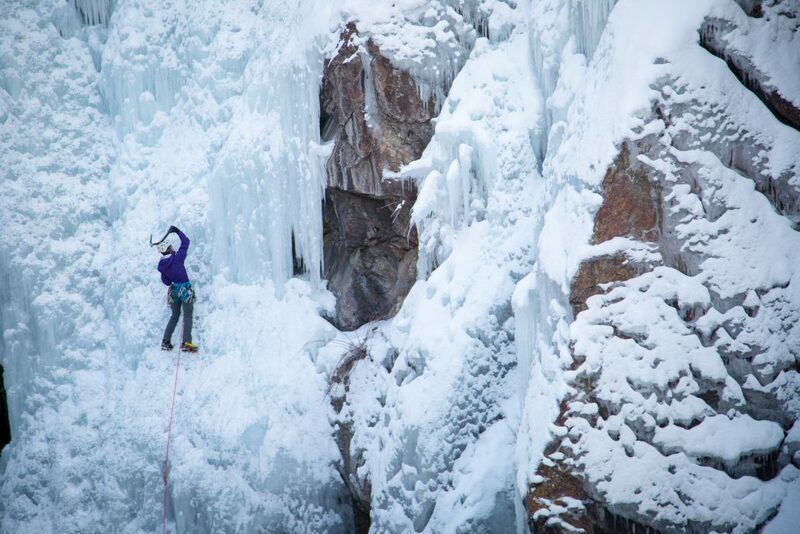 7:30 am –3:00 pm: Climbing in the Ouray Ice Park. *Lodging for this last night is not included in the package. If you want to spend an extra night and travel on Monday, please call the Victorian Inn to book your room (970) 325-7222.